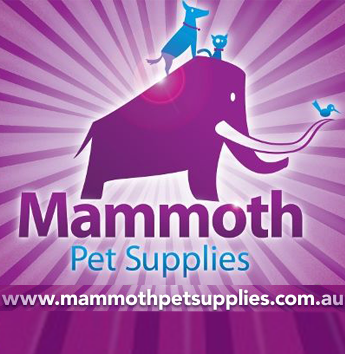 Mammoth Pet Supplies sells one of the biggest ranges of pet food, veterinary products, flea and tick treatments, toys, treats, training aids, dog beds, dog kennels, pet accessories, bird cages and aquariums in Australia. All at great value prices! Our online pet warehouse is Australian owned and operated, but we ship pet & vet products direct to customers doorsteps worldwide. If you're looking for animal supplies and pet products online, then look no further, as we have one of the biggest online pet store ranges on the market. We have everything and anything related to animals of all shapes and sizes: dogs, cats, fish, small animals, farm animals and horse supplies. We have something for every pet and every budget. The Mammoth Pet Supplies team consists of a range of professionals including vets, vet nurses and fanatical pet lovers, so you can rest assured that you will be receiving only top quality products, along with trusted advice. We love what we do! If you live in Perth, why not utilise our Mammoth Mobile Vet Perth service and have one of our experienced mobile veterinary surgeons come to you and bring any vet supplies and vet products direct to your door with them. For more information check out Mammoth Mobile Vet Perth here or contact Mammoth Pet Supplies Perth via our contact page. We are a family owned business run and operated by numerous staff including vets and vet nurses. We aim to not only bring the highest quality pet products direct to Australian pets and pet lovers, but also trusted advice as well. Please visit and browse our website, ask one of our staff or vets a question, chat with us direct online, or message us a product request if you would like a particular product.